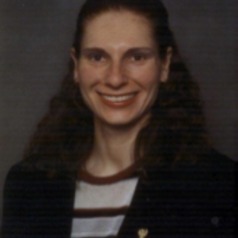 Karen M. von Deneen received her AAS and BUS degrees in 1997 and 1998 respectively from Morehead State University, Kentucky. She obtained her MS degree in Animal Science from Oregon State University in 2002. Dr. von Deneen attended the College of Veterinary Medicine and Biomedical Sciences at Colorado State University to attain a DVM degree. She finished her PhD degree in Pathobiology and Large Animal Clinical Sciences at the University of Florida in 2009. Dr. von Deneen was a visiting scholar at Xidian University in Xi’an, China and at the Institute of Automation, Graduate School of the Chinese Academy of Sciences in Beijing, China in 2007-2008. She is currently an associate professor at the School of Life Sciences and Technology at Xidian University. Her primary research interests are in fMRI and neuroimaging applications to acupuncture research in obesity and various addictions.